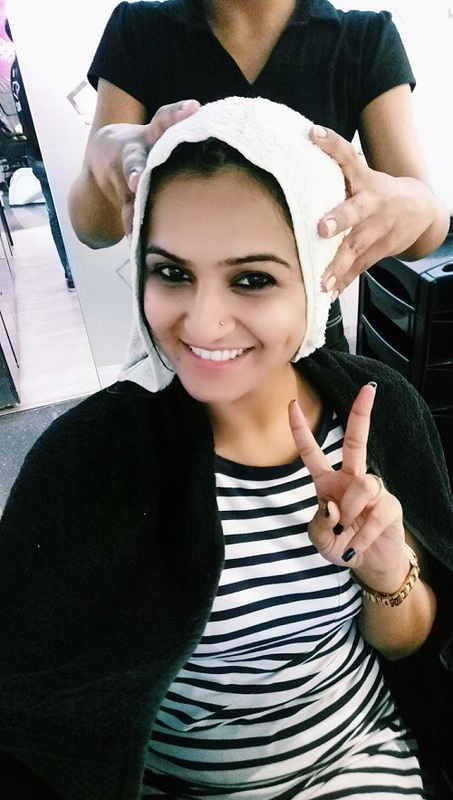 #ShaadiDiaries: My Pre-Wedding Skin, Hair & Fitness Regimen! 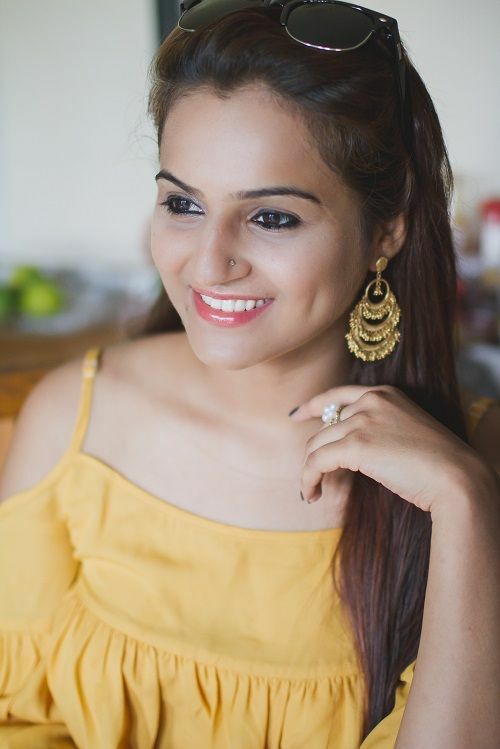 A life + style blogger, a Bollywood addict, a home baker, an army brat who loves Indian weddings and a true Punjabi, Devina from Guilty Bytes is all set to get married this November. 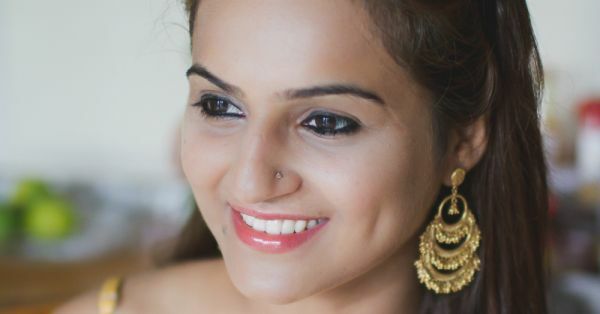 And the pretty bride-to-be will be sharing all the little details of her bridal journey with us! Here’s the fourth post from her #ShaadiDiaries. Click here for the previous post on how she put together her fab wedding trousseau. I would really, really like to have glowing skin, not just for my big day but also otherwise. While fashion blogging seems very glam, there is so much hard work that goes into it. Most of the times it includes shooting in bright sunlight, and hence I feel that my skin hasn’t been at its best. But my favorite time of the year has arrived, and it includes a strict pre-bridal skincare and haircare regime with oodles of pampering! I am also including my current fitness schedule that isn’t all about losing some 10 kilos to look like a “new” person on the wedding! Being a beauty blogger, I have tried so many salons in Delhi that I have actually lost count now. I however, get interested in places where the staff treats me with endless smiles and don’t unnecessarily suggest 100 odd treatments that my body needs (that’s a complete no-no for me). I know the specialists always try to give you the best advice possible, but just because they are working for one brand, doesn’t mean you totally discard other branded treatments. That just makes you feel like you’ve been doing your salons wrong all your life. Happens to you as well, right? Anyway, coming back to the point, I have shortlisted a salon to help me not just look pretty but assist me in overall wellness also. 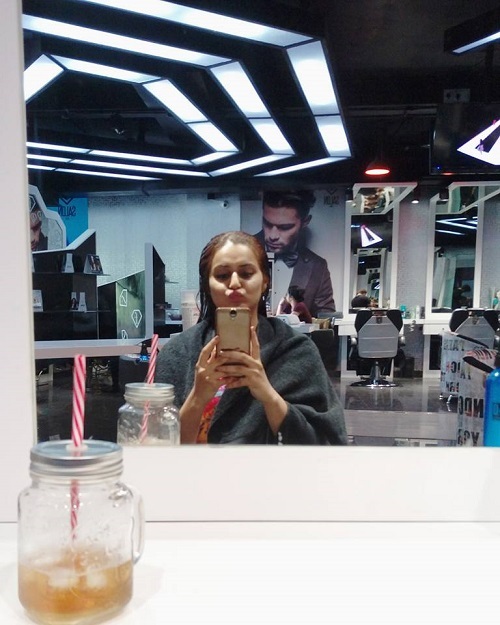 Mom and I went to the F Salon, India at Rajouri Garden for our hair and skin treatments on Mother’s Day and since then, this place stayed with us thanks to its impeccable services and the people who work there. The boss lady, Tamanna Singh and I connected perfectly owing to our fauji roots but the highlight was her interest and passion in the field of beauty that gave me the confidence to work with her for my big day. Also read: #ShaadiDiaries: How I Put Together All My Trousseau Outfits! The beauty schedule is pretty simple. I am supposed to get 6 services a month that feature 2 for hair, 2 for skin and 2 body services for overall wellness. The skin treatments are from the House of Wellness and these aren’t your regular facials or massages. Instead, they are skin treatments to work under the layer of the skin for a smoother surface and overall glow. One treatment that I will recommend to all brides is the Photo Facial here. In order to get rid of sun damage, hyper pigmentation or brown spots, try the ingenious IPL Photo Facial at House of Wellness, Rajouri Garden. 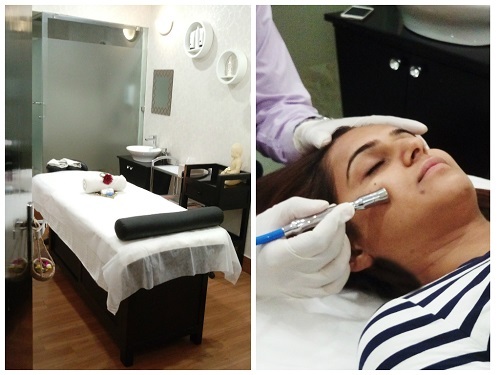 I chose to undergo this laser rejuvenation treatment that uses light based technology which boosts collagen. My skin felt a lot more soft and supple after this and there was an noticeable improvement in the tan as well. This was followed by a facial routine and was finished with the application of a pack. For any face treatments, I recommend that you don’t just go in for premade bridal packages. Instead of that, sit with the specialists and discuss the treatments that your skin really requires. For example, you may not need a de-tan cleansing but instead, a full fledged de-tan facial, and that too in 2-3 sittings. Getting a customised package designed for yourself will give you the best results and the costing will be similar to pre-made packages. Brides, just remember that a pre-bridal isn’t just about buying a package, it really is about getting the most effective treatments done in order to look and feel beautiful. As for my chemically treated hair, I bank on hair spas that not only improve the hair texture but also control hair fall while improving the overall health of your hair. Before Argan oil became a known treatment, an American hair care company turned to macadamia nut oil for its miraculous benefits. Macadamia Natural Oil’s forte lies in its patented composition of macadamia nut and argan seed oils, which are rich in important fatty acids. This nut oil contains Omega 7 that happens to be a key ingredient for hair growth. Agran oil, on the other hand, contains Omega 9, which augments the hair and the scalp’s power to preserve moisture. The blend of these oils closes the scales of the hair cuticle thus protecting the hair from the environment. The hair experts at F Salon have been doing this hair spa that’s made my hair a lot more soft and so much healthier! Again, discuss your hair woes and opt for a spa that you really need (a generic spa won’t suit every hair type). Also read: #ShaadiDiaries: I Did My Pre-Wedding Shoot With… My Besties! Learn if your scalp is oily and if you need to control sebum production. Or maybe it’s too dry and you need to combat dandruff! Also, as far as body scrubbing goes - it can be done at home. Make a DIY exfoliator using coffee, granulated sugar and olive oil for best results. Opt for relaxing body treatments at the salon and hot oil massages to hydrate your body until your big day. As for my fitness, I am sticking to running and doing yoga to bust all the stress. Having realistic fitness goals is making the journey easier. A goal needs to be as specific as possible so you can work towards achieving it. "Lose weight" as a goal was too vague for me and I decided to work on my problem areas like the abdomen and the arms and I am still getting there. I have added lots of fruits to my diet and I am drinking a lot more water than ever before. I eat a hearty breakfast and toss in it some nuts like almonds, walnuts and goji berries. Morning starts with yoga at home and evenings are dedicated to a 3-5 km run. This is both effective and free of cost! 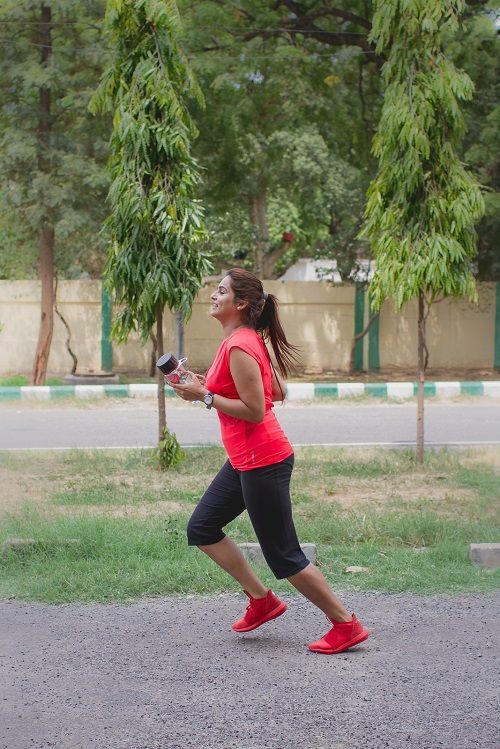 Running stimulates blood circulation and will give you the much needed glow on your skin. If you are an office going bride-to-be (which I am guessing most of you are), then get yourself colourful fitness gear - a sports bra and good pair of shoes first. Whenever you come back from work, rest for a while and then go all out and run! More than losing weight, track your everyday progress and you’ll find your own motivation in no time! Images: Guilty Bytes Next Week: The Unusual Save The Date!